My Beauty Diary: Comfort Zone Shade! For eyeshadow, I always go with brown color. For people with small eyes like me, usually I will go for smokey eye make up. But rather than black color, I found brown is more easy to use. It is more netral and suits for every occassion. 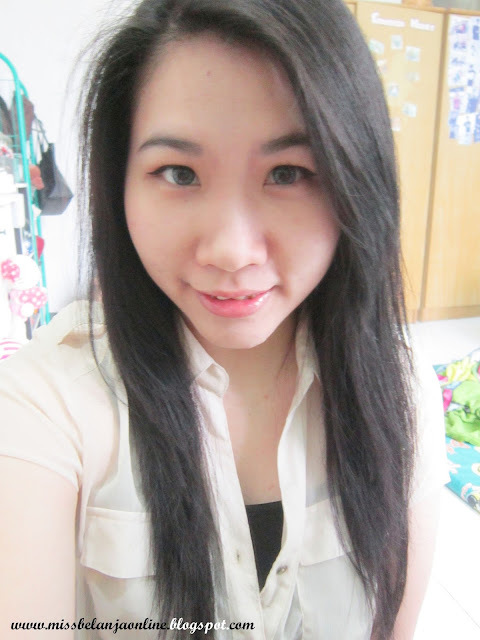 My favourite product is Etude House Look At My Eyes Cafe BR404. Move on to the blush. My favourite shade is pink and coral. Coral helps to make my appearance more glowing. And pink helps to give me an instant healthy look. My favourite product is Canmake Gradient Cheek in number 05. It has a nice pink-coral combination. Lastly the lips. My almost-everyday-lipstick is ZA lipstick Red Coral color. Red is too bold for me and sometimes pink isn't really wearable, so I always go for coral color. It has a nice combination between red and orange color. An instant boost to complete the whole make up. That's all my comfort zone shade. What do you think about it? Do you have your favourite shade? make up naturalnya suka banget kak, cantik..